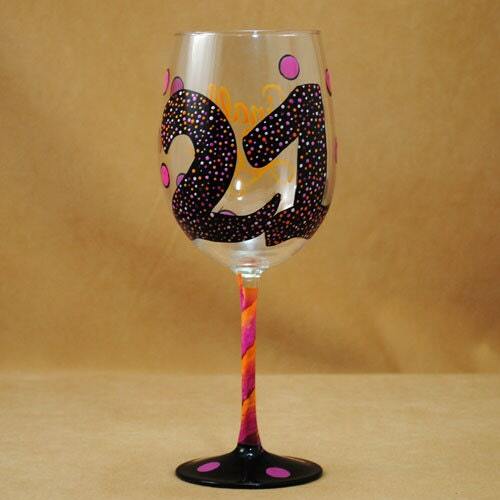 The newest addition to our 21st Birthday glass collection. 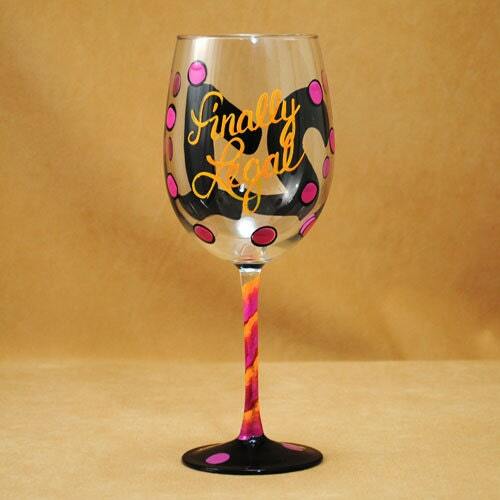 Painted on a white wine glass has polka dots and says Finally legal. Exactly what I wanted and it arrived quickly! Can't wait to gift it!